Interdisziplinärer Studiengang, der das Lehrangebot aller Fakultäten einbezieht und individuelle Schwerpunktsetzungen in den Bereichen Geistes-, Sozial-, Natur- und Technikwissenschaften ermöglicht. 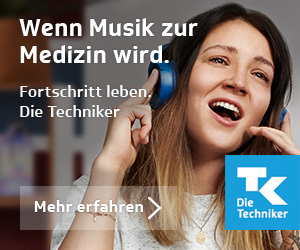 Je nach gewählter Spezialisierungslinie wird der akademische Grad "Bachelor of Arts" oder "Bachelor of Science" verliehen. Was versteht man unter "Liberal Arts and Sciences"? The LAS program offers interdisciplinary training that allows for individual emphases. The Core (66 ECTS) includes reflection on knowledge and sciences – the key to interdisciplinary education and training –, a curriculum on Responsibility and Leadership, and general academic skills training. In the Electives (72 ECTS), students can choose from a variety of options and courses as well as undertake study projects of their own. The Major (102 ECTS) constitutes the students’ training in a specific academic field. LAS offers four Majors: (1) Earth and Environmental Sciences, (2) Life Sciences, (3) Governance, (4) Culture and History. LAS teaches students intellectual flexibility across disciplines and enables them to apply the acquired skills to complex academic and practical questions. It prepares them for careers in international environments that demand fast and efficient adaptation to varying and complex challenges on a day to day basis. Finally, students will learn how to self-responsibly and self-confidently continue to advance their intellectual development after graduation, for and beyond their careers.